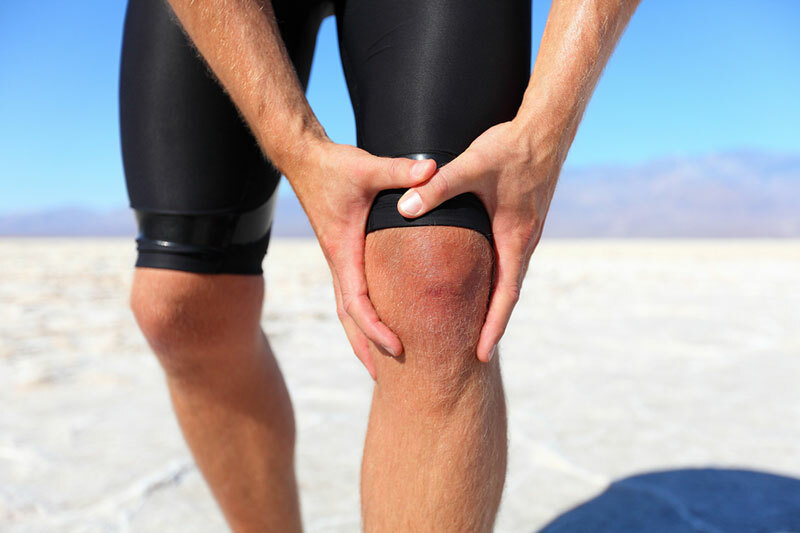 Muscle injuries can occur anywhere in the body and the affects will differ from case to case. We find that when a rehabilitation plan is tailored to your specific needs, that recovery time can be shortened and yield the greatest results. Muscle tears mostly occur when undertaking strenuous activities, however can also happen with a slight movement in the wrong direction. When under strain, muscles can tear and this will usually present with feelings of intense pain, particularly during times of exercise. Spasming of the muscles happens when muscles are poorly nourished, under hydrated or overworked. We aim to help you regain normal muscle strength and mobility by softening and loosening the tension with deep tissue work, massage, stretching etc.of the muscles and greatly improve mobility. We also offer treatment for all manner of contact injuries. Many athletes will find that contact injuries are part of the package when it comes to being involved in team sports and unfortunately it is par for the course. Here at our clinic in Tralee and also in Dingle, we work closely with athletes to ensure proper rehabilitationafter contact injuries. Please feel free to contact Eddie at any time to arrange an appointment at the Tralee or Dingle clinic. Back pain can be caused by a number of underlying issues and can result in debilitating circumstances for the sufferer. Our highly experienced therapists can assist with all back-related pain and injuries and you can be fully assured that your recovery is always our top priority. Degenerativedisc disorder (a breakdown of the overall structure of the disc). 80% of all back pain is muscle related and can often be resolved here at our clinic in just one or two sessions. For relief from back pain and a return to an active and pain free life, please call Eddie O’Grady at the number above. We operate hours to suit our clients needs and will be happy to accommodate you at any time that is convenient. Neck pain is one of the most common ailments we face in modern society and can be caused by a number of factors. Statistics suggest that over 60% of the population will suffer from neck pain at some stage during their lifetime. However, this does not mean that it should go untreated. Ignoring persistent neck pain can lead to long time suffering and in some cases irreversible damage. If you find yourself suffering from any of the following symptoms, we would highly recommend that you get in touch with our clinic here in Tralee or Dingle so that we can advise you on the best treatment for your particular complaint. If you are suffering from one of the above conditions, then you are no doubt feeling a certain degree of unnecessary pain. Our highly qualified physical therapists and physiotherapists here in Tralee & Dingle are in the best position to help alleviate your pain and assist you with a full recovery. Please check out our F.A.Q. section for further information on neck pain and neck injuries, causes and symptoms. Ankle Injuries can hamper even the most mobile of individuals, and without the appropriate initial treatment, can degenerate and become a recurring problem. Whether you have suffered the injury through sports, the workplace or an unfortunate accident, Eddie O’Grady physical therapy & physiotherapists clinic in Tralee can help you to reach full health again. Whilst ankle injuries are relatively commonplace, without immediate treatment you could find yourself dealing with a long-term problem. Many ankle injuries will occur due to something as simple as a ‘wrong step’ but will vary in their severity. You may notice pain and severe swelling in the ankle or may just experience some mild discomfort, all cases will be individually assessed and a suitable treatment program will be tailored to your specific injury. Should you have any questions about your ankle injury or the treatment process, please feel free to contact Eddie on (086) 7700191. Bursae are small sacs of synovial fluid which can be found where tendons attach to bone throughout the body. When these bursae become inflamed they can cause extreme pain in the affected area i.e. Bursitis. Bursitis causes pain when attempting movement and can lead to serious distress for the sufferer. We tackle Bursitis cases on a regular basis and have seen great results with all of our patients. We also provide comprehensive aftercare advice on how to avoid Bursitis in the future. Should you be suffering from Bursitis as a result of arthritis or gout then please advise the consultant as this will need to be taken into account when tailoring your treatment plan. Foot pain can be caused by a number of different factors and it goes without saying that this is an area that should be treated as soon as damage has occurred. If a foot injury goes without attention or therapy of some sort, you are immediately putting yourself at risk of recurring injury and reduced mobility. Our highly qualified therapists will complete a full assessment of your foot pain to ascertain what treatment will suit you best. Physical therapy or physiotherapy will normally be advised to provide effective relief from pain, rehabilitate, and enhance your mobility. Should you find yourself suffering from foot pain as a result of injury or a mishap, please feel free to get in touch at any time to discuss the options that are available to you. Please note, our treatments are covered by all major Irish health insurers. Hip pain can be a complex conditionto analyse and here at the Eddie O’Grady Physical Therapy and Physiotherapy Clinic in Tralee, we take your hip injury very seriously. We understand that hip pain can be debilitating and we begin each case with a thorough examination to advise on what treatment is best for you. Mild arthritis – our treatment will assist with pain, and wear and tear on joints. Post operative hip replacement treatment to aid with loss of movement and strength. Snapping hip – not widely thought of as a serious condition, but if left untreated can lead to excessive pain in the hip region. Please see our F.A.Q. page for a list of hip pain and hip injuries treated at our Tralee and Dingle clinics along with a breakdown of their causes and symptoms. It is our priority to provide you with a treatment plan that is suitable for you and yields the best results in the shortest timeframe. Pain or inflammation of the underside of the kneecap. Post operative pain, loss of movement and strength. Iliotibial Band Syndrome is one of the leading causes of lateral knee pain in runners. The iliotibial band is a thick band of fascia(fibrous tissue) attached to the side of the hip by the tensor fascia latae muscle and extending down on the outside of the knee and inserting just below the knee. The band is crucial to stabilizing the knee during running as it moves from behind the femur to the front of the femur during activity. The continual rubbing of the band over the side of the knee(lateral femoral epicondyle) combined with the repeated flexion and extension of the knee during running may cause the area to become inflamed and painful. Ligaments attach bone to bone at joints, thus maintaining the stability of the joint. Sometimes under strain ie. when you go over on your ankle or dislocate your shoulder, ligaments can stretch or rupture. Some ligament injuries require surgery, however other times physiotherapy along with strengthening/ proprioceptive exercises can be used to rehabilitate the joint. Tendons are the tough fibres that connect muscle to bone. They can become injured through overuse or as a result of major trauma to the area. Muscle Tears: Sometimes muscles can tear under strain. Usually a person will feel a give in the muscle coupled with a very sharp pain during exercise etc. and will have to pull up. Muscle spasm: Muscles can spasm if overworked, are poorly hydrated or undernourished. This condition usually presents as a hardening of the muscle(spasm) and a reduction in function with mild pain and discomfort. A person can often continue activity but with some discomfort and reduced function. Contact Injuries: Muscle contact injuries occur in situations like say during a football match where a player gets a kick into a muscle. This sometimes leads to bleeding internally within the muscle structure, often with swelling and loss of function. Nerve related conditions can occur in all ages and they are not limited to just athletes or manual workers. We have found that conditions such as sciatica and trapped nerves affect a large number of our client base and as such this is not a condition that discriminates. The pain emanating from nerve disorders can be both debilitating and emotionally distressing and we fully understand the need to reach out and do whatever is necessary to alleviate this burden. Nerve disorders can be usually beresolved with the right care and attention from a qualified professional, and here at the Eddie O’Grady Physical Therapist and Physiotherapist Clinic in Tralee we do just that. If you are suffering from any of the conditions below, then you could be the perfect candidate for one of our many successful treatment programmes for nerve related conditions. Sciatica – Nerve pain emanating from the back, most often felt in the buttock area or in the back of the leg. Nerve Entrapment – If left untreated, this can lead to nerve pain, numbness, tingling and a burning sensation along the pathway of the nerve. Disc Disorders – Again linked to nerve pain and can cause a burning sensation, pain and tingling. Nerve Damage – Damage to nervous tissue, which can often present as weakness, pain, tingling or burning sensations, numbness and lack of function. Please feel free to contact us to book an appointment and discuss your specific case. Wrist and finger injuries are something we see quite a lot ofin both of our Kerry based clinics, and we are happy to say our physical therapy treatments have yielded very successful results. Whether you are suffering from a fracture,a muscular, tendon, ligamentor joint complaint, we can tailor a treatment plan to have you pain free within a short period of time. The list above is by no means exhaustive, so please do get in contact if you are suffering from pain in your fingers or wrists and we will undertake an in-depth assessment in order to assist with full rehabilitation. Rehabilitation time will differ from patient to patient, however this will be discussed during your initial consultation. To book a consultation or enquire about recommended treatments, please contact Eddie O’Grady at the number displayed above. The most prevalent types of elbow pain presented with here at our clinic are Tennis Elbow, Golfers Elbow and nerve or joint related elbow pain. We aim to alleviate these conditions by providing a comprehensive treatment plan, along with advice and ongoing exercises to strengthen the structuresin the affected area. It should be noted that Tennis Elbow and Golfers Elbow are not necessarily caused by the sports they are named after. Both conditions can occur in persons who have simply strained or put pressure on the area due to other forms of exercise, manual labour or other work related activities. How do you know if you are suffering from Golfers or Tennis Elbow?There is a significant difference between the two conditions, in that those suffering with Golfers Elbow will experience pain mainly on the inner side of the elbow and Tennis Elbow sufferers will feel the pain on the outermost parts of the elbow. Our Physiotherapists are well versed in dealing with elbow strains and injuries and can advise you on a treatment plan and provide valuable advice on the rehabilitation of your elbow. Nerve related conditions will also require a full assessment in order to recommend a successful treatment plan. To book a consultation, please feel free to call at any time or use the contact form. Shin splints are a common complaint throughout the athletic world and are caused in most cases by repetitive overuse. 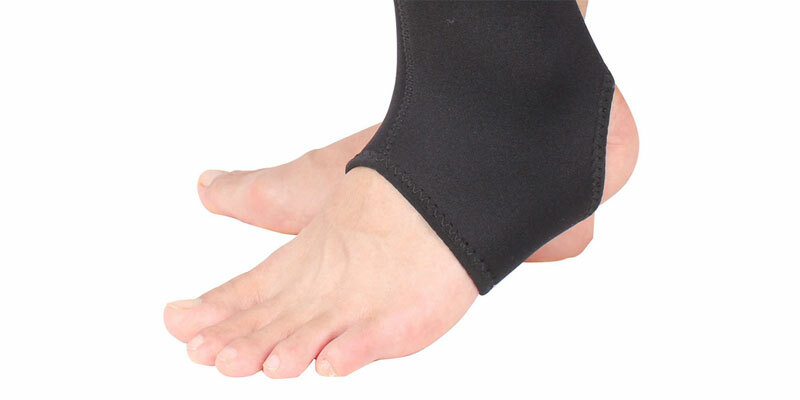 The condition refers to frontal lower leg pain and can be related to muscle, bone or tendon problems. Should you find yourself suffering from any of the symptoms mentioned below, we would recommend visiting with one of our highly qualified therapists, who will assist you with a treatment programme and advise on how to avoid the injury in the future. All of our shin splints treatment programmes are tailored to meet the patients specific needs and not only aim to treat the problem area but also to educate sufferers on how to avoid future damage. Left untreated, shin splints can take an excessive amount of time to heal and can lead to further stress on the shinbone. In your initial consultation Eddie O’Grady will outline a recommended treatment programme to suit your specific condition. Please feel free to contact us and discuss any concerns you may have, we are always very happy to help. Through years of experience we have found that shoulder injuries affect a very large part of our client base and here at our Tralee Dingle clinics we aim to provide you with a treatment programme that will strengthen and rehabilitate your body back to full health. If you are suffering or recoveringfrom any of the following conditions, we would highly recommend that you get in touch and seek advice from our highly practiced and highly qualified physical therapists and physiotherapists here in Tralee. We have seen shoulder injuries of varying severities and are confident that we can assist you. Should you have any questions about your particular injury or presenttreatment, please feel free to get in touch at any time, to discuss. We offer flexible opening hours to facilitate busy schedules and are situated within 5 minutes of Tralee town centre. Temporomandibular Dysfunction refers to joint and muscle problems which relate to the jaw, and can cause severe discomfort and unease to those who are suffering. Left untreated the problem can escalate and become extremely difficult to reverse. If you have been diagnosed with Temporomandibular Dysfunction (TMD), we would highly recommend that you contact us to arrange a suitable treatment program. If you have yet to be diagnosed, but are suffering with the following symptoms, we would advise seeing a doctor to confirm TM before attending treatment. Should you have any questions about Temporomandibular Dysfunction or the treatments we provide, please feel free to contact us for further information. Tendinopathy treatment is available at our Tralee clinic by appointment. When we speak of tendinopathies we are referring to injuries and disorders of the tendons. Injuries can differ enormously from patient to patient, so it is imperative that we conduct an in-depth investigation of your complaint and then tailor a treatment programme to suit your specific requirements. Should you require treatment for tendinopathy, our non-invasive / non-surgical treatments can provide superior results for both acute and chronic conditions. Please contact Eddie on (086) 7700191 to make an appointment. Here at the Eddie O’Grady Physical Therapy and Physiotherapy Clinic, we use physio to enhance the movement and motor skills of those with cerebral palsy. We find that our hands-on, gentle approach leaves patients feeling uplifted and more confident in their activities. We are very proud of the great feedback we have received from both patients and parents. Each treatment plan is customised and tailored to meet the clients particular needs and we are always on hand to provide advice to parents and family members. Should you wish to arrange an appointment for physiotherapy treatment in relation to cerebral palsy, please do not hesitate to get in touch at any time. Headaches can be often be alleviated by working on tightened muscles and trigger points in the shoulder and neck area. Our therapists are specialised in understanding what is causing you discomfort and working on those triggers. Should you find yourself suffering from recurring headaches or migraines, we highly recommend that you do not let it go untreated. Continuous headaches can lead to lack of concentration, nausea and fatigue, which are unnecessary and will greatly reduce the quality of everyday life. Please contact Eddie O’Grady to discuss a physical therapy treatment or enquire about a solution for your particular complaint. Ligament injuries whilst commonplace can present with very uncomfortable symptoms and it is always best to seek professional advice and treatment. We offer physiotherapy and physical therapy treatment in Tralee and Dingle for ligament injuries and will be happy to help you on the road to recovery. Ligaments are bands of connective tissue that hold our joints together by connecting bones or cartilage. When these ligaments are damaged they can cause instability of the joints and in some cases surgery may be required. Here at the clinic we use physiotherapy to strengthen the area, along with proprioceptive exercises, which will aid you in your recovery back to full health. If you have recently suffered from a ligament injury and are unsure of what path to take, please take the time to contact Eddie O’Grady who will be glad to assist you with information and a recommended treatment plan.